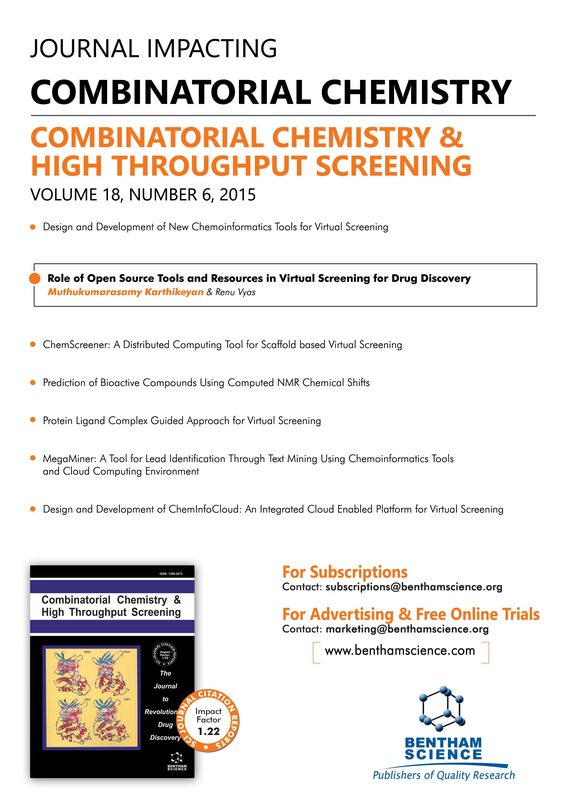 Abstract: Advancement in chemoinformatics research in parallel with availability of high performance computing platform has made handling of large scale multi-dimensional scientific data for high throughput drug discovery easier. In this study we have explored publicly available molecular databases with the help of open-source based integrated in-house molecular informatics tools for virtual screening. The virtual screening literature for past decade has been extensively investigated and thoroughly analyzed to reveal interesting patterns with respect to the drug, target, scaffold and disease space. The review also focuses on the integrated chemoinformatics tools that are capable of harvesting chemical data from textual literature information and transform them into truly computable chemical structures, identification of unique fragments and scaffolds from a class of compounds, automatic generation of focused virtual libraries, computation of molecular descriptors for structure-activity relationship studies, application of conventional filters used in lead discovery along with in-house developed exhaustive PTC (Pharmacophore, Toxicophores and Chemophores) filters and machine learning tools for the design of potential disease specific inhibitors. A case study on kinase inhibitors is provided as an example.